5 Reasons to Buy an Organic Crib Mattress | Essentia | Organic Essentia Mattress Inc.
Home // Mattress 101 // How Dirty is your Average Crib Mattress? How Dirty is your Average Crib Mattress? 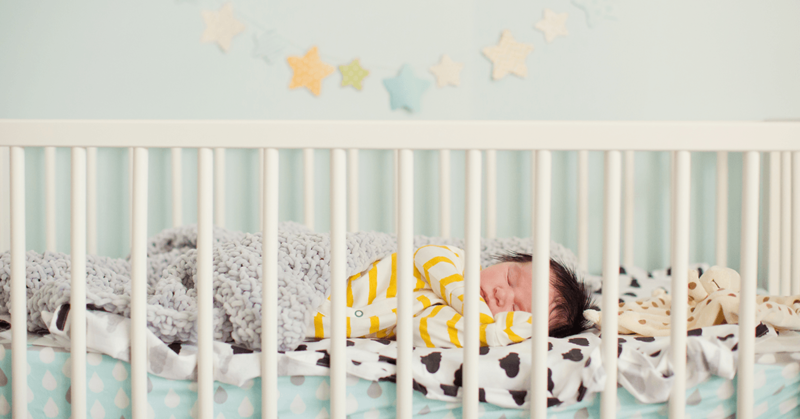 Should you get a Natural Crib Mattress? You would think that since crib mattresses are regulated and certified by a giant safety seal they would be safe. That's not entirely true. - New crib mattresses release about 4x as many VOCs as old crib mattresses. - Body heat increases emissions. - Toxic chemical emissions are strongest in the sleeping infant’s immediate breathing zone. Manufacturers are interested in pushing product out the door for as little money as possible as long as it passes government regulations and these regulations aren't very strict. So why should you buy an organic crib mattress? Is a healthy crib mattress necessary for your baby's health? You be the judge. Here are just a few of the unhealthy components found in your standard crib mattress. These fire retardant materials are cause for concern wherever children may come in contact with them. This applies to sofas and any other soft furniture where they may be present, as well as crib mattresses. Countries in Europe have banned harmful chemicals like flame retardants entirely. PBDE's get stored in the human body with every exposure, making them bioaccumulative. In experiments with mice, PBDE's lead to problems with the thyroid, developmental problems with learning and motor skills, and cancer. PDBE's are not only found in mattresses, you'll find them in televisions, computers, carpets, couches, and anything that may have been treated with a fire retardant. Why do you want to avoid cheap glue? Simply put, cheap glues contain a number of harmful chemicals that are toxic to children, and standard crib mattresses contain a disproportionate amount of these glues to keep it firm and rigid. Many of these glues contain volatile organic compounds (VOC's), the same compounds that paint companies are trying to remove from their paints. One of the more important factors in a crib mattress to most parents is a waterproof surface. In standard crib mattresses, waterproofing is achieved with plastics that contain the hazardous compound polyvinyl chloride, or PVC. PVC is a toxic chemical and it smells. This outgassing isn't healthy to breathe in, let alone 8-12 hours a night. Over time, as PVC breaks down, it off-gasses vinyl chloride as well. According to the EPA, Vinyl chloride is a known human carcinogen that causes a rare cancer of the liver. Harmful dioxins are a by-product of the manufacture of vinyl chloride. Dioxins are very toxic to any ecosystem that they may enter. Another negative to vinyl is that it cracks. Urine, feces, sweat etc seep in through these cracks and accumulate in the mattress. Babies breathe this in while they sleep and every time your child jumps it releases an unhealthy plume of air filled with this concoction of bodily fluids. A proper natural crib mattress will not contain any PVC plastics for waterproofing. Waterproof mattress protectors are sold separately for many organic crib mattresses which can be easily washed. Fabrics and batting in crib mattresses are often made with polyester. Why is polyester bad? According to the Ecology Center website, polyester can cause respiratory tract irritation and severe skin rashes. Watch disposable diapers as well for baby health issues - they also contain polyester. Most crib mattresses are made with petrochemical-derived foams, such as polyurethane foam. Polyurethane foams and memory foams both give off a chemical odor and have been linked to allergy development and asthma. It's not hype, buying an organic crib mattress could be one of the most important purchases you'll ever make for your baby or child to ensure their safety while they sleep. An organic crib mattress helps increase blood flow and relieve pressure so your baby can get a good night sleep. Organic baby crib mattresses are made with non-toxic materials so your baby will avoid sleep interruptions due to exposure to chemically treated fabrics. A good non-toxic mattress is made with high-density foam to avoid emitting allergens from dust mites. There are many benefits to buying a natural mattress for your baby. Not only will they be sleeping on a non-toxic mattress, but they will get a good night sleep. Buying an organic mattress for your baby might seem like a big investment. That’s why it’s important to find one that can convert into a toddler mattress so you can get the most out of your investment. Check out our natural memory foam crib mattress if you'd like a healthy baby mattress for your newest addition.